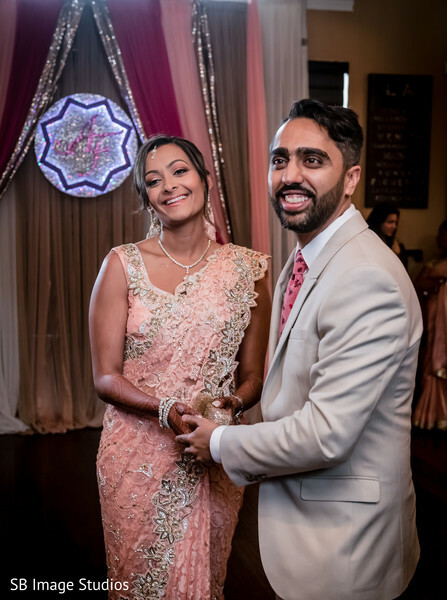 In accordance with the Islamic custom and their Ismaili faith, Aneesa and Franky got married in a charming ceremony and SB Image Studios had the privilege of photographing this cute pair on their big day! 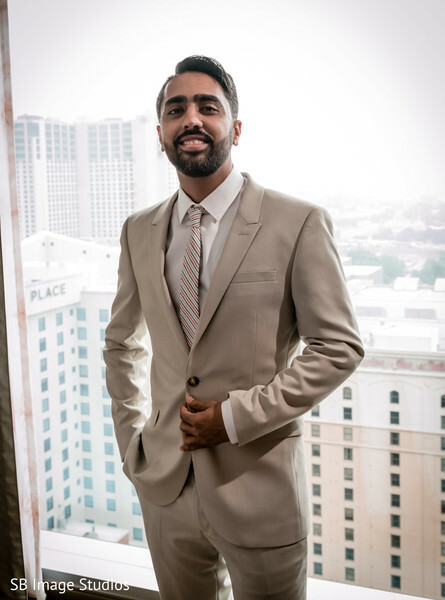 The two looked stunning in their wedding trousseaus, the groom, Franky went for a fit sand color suit paired with a pink tie that matched with Maharani Aneesa’s look. Brilliant! 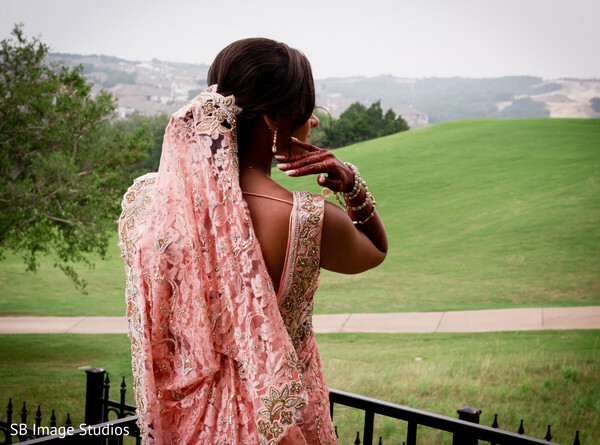 Her alluring pink brocade Nikkah saree was absolutely feminine and was completed with a romantic and flowy hair updo created by Glam Team USA! 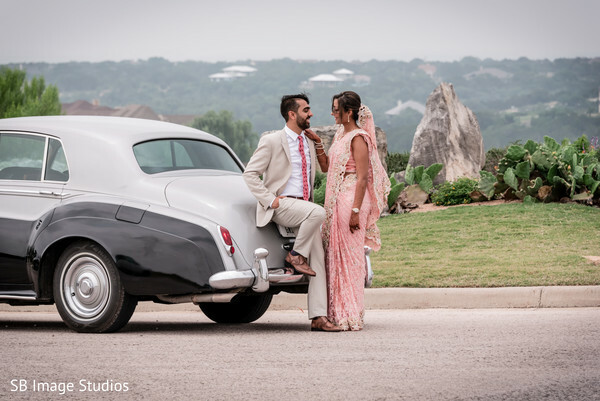 As the tradition dictates, the charming groom went to pick up her bride to join their lives in a solemn ceremony witnessed by their closest ones! Immediately after the marriage contract was signed, the joyful post-ceremony rituals and games began with the bride and groom trying to find the coin amidst the rice and the other trying to get it back! 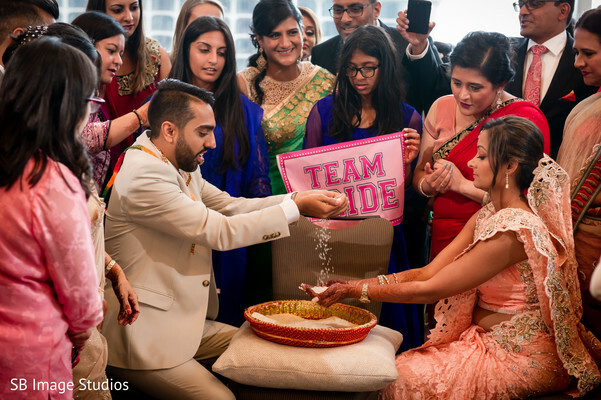 After the games and pouring the rice on each other, Aneesa and Franky were officially husband and wife and were ready to kick off the celebrations at the splendid JW Marriott Austin! 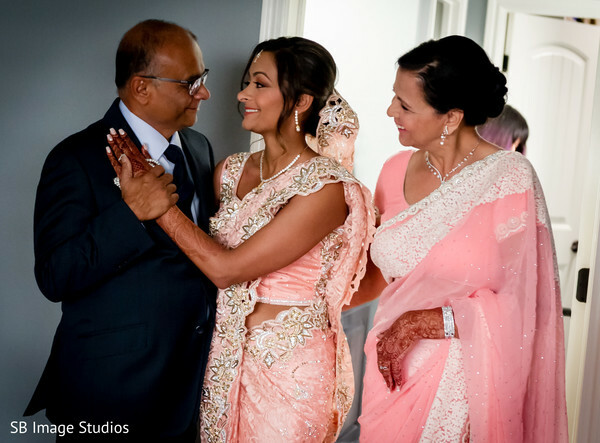 Take a quick look at their sweet union in the great images provided by SB Image Studios assembled in our gallery! I met him over 10 years ago. He developed a little crush on me way back then and at the time I was too young to realize it; but I saw him again years later and couldn't help but think "I want him." He was there for me through the worst; so of course he was the one. He secretly flew my parents to Miami and proposed to me at the Ritz Carlton. It was perfect and was everything I could have imagined. Nice dress, my parents, the ring, the whole 9 yards. Wedding planning was hard but the day I saw my reception hall I knew it was all worth it. My vendors were all great and helped make the day perfect. I was in school and planning the wedding at the same time; I would not have been able to do it without my wonderful vendors. JW Marriot is our favorite hotel in Austin and it was my dream to get married there. I would give a special shoutout to my photographer Stephanie Behrens who captured all these great moments for me. I looked at a ton of pictures, added my own drawings and found a designer who could customize it for me. I went with someone I knew nobody else in Texas could have possibly worked with so that I could get something unique! I knew I wanted gold, blue and a lot of pop. The shopping of course, I LOVE CLOTHES! 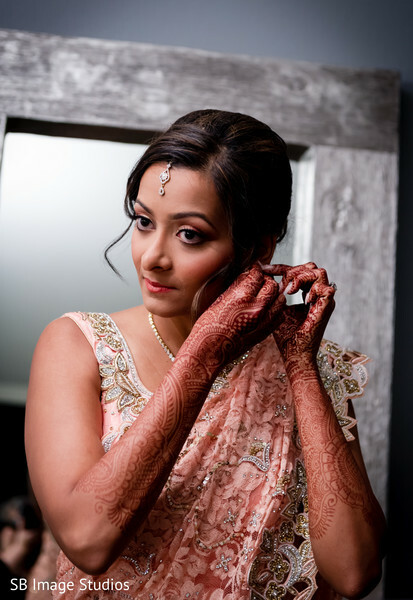 They all thought it was different from most Indian weddings they have attended. The first dance with my husband and the father daughter dance. It will turn out perfect, relax! 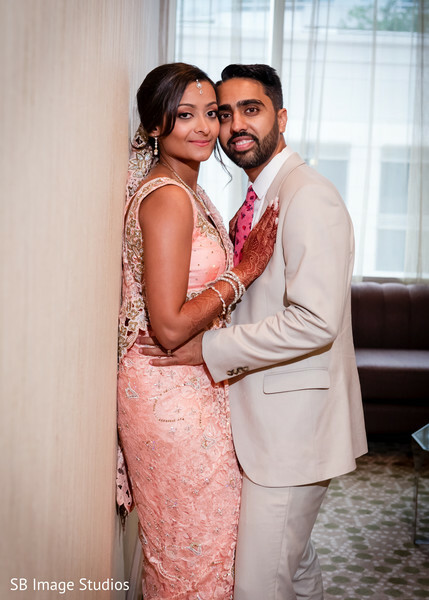 Get an exclusive overview of Aneesa and Franky's swoon-worthy reception in our next post!